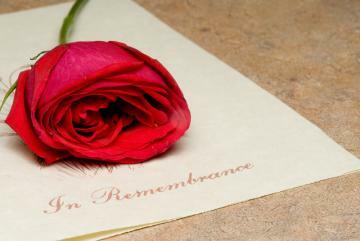 We offer a variety of beautiful memorials to cherish the life of your loved one. We customize every monument to suit your unique requests. Custom Design Monuments has been in business for over 35 years. It is family owned & operated. Our main showroom is located at the intersection of Routes 422 and 268 in West Kittanning. Our company represents honesty, dedication, and most importantly pride. We strive to bring individuality, affordability and the best possible service to you and your family during this extremely difficult time. Our goal is to provide your family with a quality, affordable memorial which will express your loved one’s legacy, and suit your cemetery site. The selection of a cemetery marker can bring you and your family a great deal of pride and satisfaction when done with proper care and counsel. You will find our staff exceptionally kind, considerate and knowledgeable in helping your family. Our skilled craftsman can generate a computer image to show how your memorial will look when it is placed in the cemetery. Let us share our long experience and ethical record in the monument business with you. I can’t thank you enough for the beautiful stone that you had designed for my fiancée, Richard J. McCullough and placed at Belknap Cemetery last week. Being in the cemetery business myself, I know how first-hand how important it is to create these memorializations not only to pay tribute to our loved ones but to help facilitate in our grieving process. When I drove to the cemetery and saw that memorial for the first time, I dropped to my knees and cried and could not stop crying. Not only is that just a tombstone, it captures him and everything about him he treasured including the color of the stone (black granite), the truck, the bulldogs, the number “102” on the truck and the angel. You know when your customers cry when they see your final product you know you went over and above in satisfying your customers. I will be truly grateful to your company for this memorial and would be honored to recommend you to anyone who is need of your services. Thank you again and again….. I just wanted to let you know how very pleased I am with my husband's grave marker that was placed on Friday. It is perfect and my husband would have loved it as well! Both of my children are extremely pleased with the stone too! Again, thank you so much for making this part of my husband's passing so smooth and easy. I will definitely recommend your business to my family and friends! Thank you so very much for your kindness &amp;amp; helpfulness in getting my Aunt &amp;amp; Uncle's stone reset &amp;amp; the lettering redone. (DOLMOVICH) @ St. Mary Cemetery-Ford City. It was a pleasure working with you Cathy. I just wanted to say thank you all for the help with my family's stone. It is beautiful. Beautiful work, in a timely fashion, compassionate caring people to work with !! My family has always trusted custom design monuments. I highly recommend them for your needs also !! Jennifer, Just want to say how pleased we are with your prompt service regarding our mother's marker. You handled all the details and had the job completed the same day. I can't imagine how anyone else could provide better service! I would highly recommend you to others. Choose a monument that reflects the life of your loved one and have it customized to suit your unique requests. A unique way to cherish your life or your loved on is through the beautiful eternal lights that light the way of a resting place. Choose from a variety of memorials including bench monuments, slanted, bronze, specialty memorials and more. Creating a memorial allows you to express respect and love for someone who touched your life. Custom Design Monuments Inc wants to capture the essence of your loved one through our monuments. We all live a unique and special life and that should be preserved for generations to come.